Have any travel plans to visit Rajasthan? 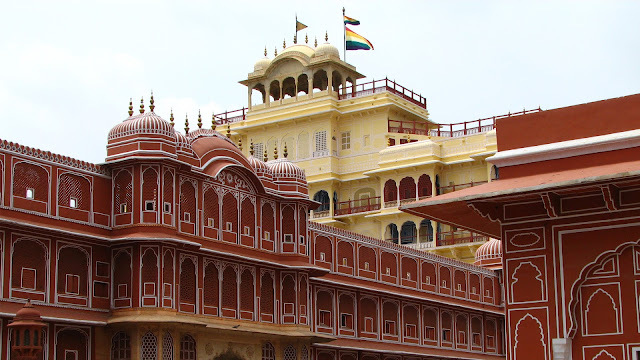 One colorful Indian state, Rajasthan is known for the rich history and its cultural heritage. To ensure you keep up with the culture of the royal state and explore each and every architectural marvel, we have jotted down some significant things you should see your package also includes when planning a trip to Rajasthan. 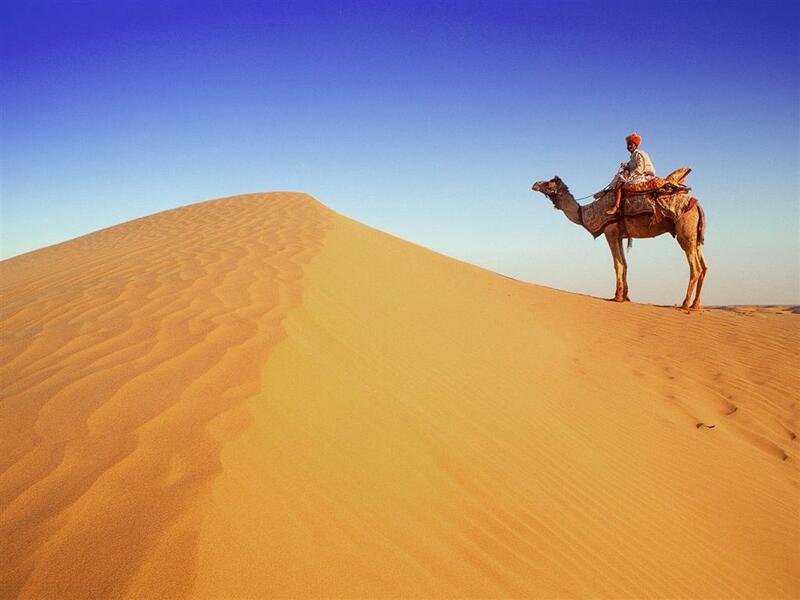 Here is our guide to travel Rajasthan. The first thing that strikes one's mind is what would be the best time to visit a destination and when the place is Rajasthan, the question becomes more prompt. To answer this direct, you must plan for a trip to Rajasthan in between the months of October and February. During winters the temperature drops to an average range of 25 degree Celsius to 12 degree Celsius. The next best time to visit Rajasthan after if not winters could be monsoons. The sight of dancing peacocks is worth to behold my friend. So, if you cannot wait till October, book your tickets somewhere in between June and August this year. However, you might have to drop some of the places from the itinerary as they might be closed due to rains. 2. How many days required to visit Rajasthan? On your trip to Rajasthan, you have to cover four of its major cities – Jaipur, Jaisalmer, Jodhpur and Udaipur. A trip skipping any of these cities in the Rajasthan packages won’t be called complete so make sure you spend a minimum of 2 nights in each city which makes the total number of days to 10 days. Your Rajasthan trip shouldn’t be less than 10-12 days if you want to cover all the major destinations across the state. Rajasthan has plenty of local transport systems such as tuk-tuk, e-Rickshaw, Local buses, tourist buses, auto-rickshaws, cabs and tourist permit cars. You can hire tourist cabs dealing with a tour operator for convenience, especially if you want to have a road trip. Rajasthan is the land of Royals – a place rich in its culture, tradition and history. There are various tourist attractions in the state that you will not stop alluring. The castles in India, forts and palaces at Jodhpur & Udaipur, camel riding at the sand dunes in Jaisalmer, the shopping streets in the pink city of Jaipur and you name it. From travel to food, you will love everything about Rajasthan. When out for sightseeing, you can also have a travel guide to show you places and share the underlying history and fascinating stories. But make sure you hire a verified guide with proper ID. If you are a travel blogger or photographer, audio guide would be a better option for you. Have you finalized a 5 days for your Rajasthan trip? Ensure your Rajasthan travel package cover maximum of the places within this short yet valuable time. Shekhawati is one of the many regions predominantly occupied by the Rajasthan merchants. It is home to several grand havelis and temples built by wealthy merchants. In fact, the Shekhawati region comprising Jhunjhunu, Sikar, Churu and Nagaur is one of the most aesthetically appealing destinations in India. Shekhawati also enjoys being referred to as an open-air museum. Over time, Rajasthan has turned into an important tourist destination in India inviting travelers from all across the world which has led to better accommodation facilities in the state. You can choose from the wide range of accommodation types from luxury resorts to heritage hotels to small havelis to guest houses to home-stays. Whatever suits your comfort and budget will be yours! However, make sure to book hotels in advance as there’s rush during peak season. There are a lot of places for shopping in the state. If you are on a tour of Rajasthan from Delhi, being a delhite you probably would be aware of the popular shopping streets like Johari Bazaar in Jaipur, Nayi sadak and Clock Tower in Jodhpur, MG Road in Bikaner, Bada Bazar in Udaipur and Sadar Bazar in Jaisalmer. You never heard about these? Well, now you know about it all! Rajasthan offers all kinds of cuisine as now it is one of the top tourist attractions in the country. However the traditional food of the state stands unique from any other dishes served in the hotels, streets or homes. Some of the best Rajasthani food that you must try includes Dal Baati Churma, Gatte ki Sabzi, Pyaaz Kachori and Laal Maas. No matter if you are on a tour of Rajasthan from Mumbai or Kolkata or Bengaluru, you just cannot miss the cultural hotspots in the royal state. It is this culture and heritage that make Rajasthan unique from all other tourist destinations in the country. The 10 most important cultural hotspots in Rajasthan are Chittorgarh Fort, Mount Abu, Hawa Mahal, Jantar Mantar, City palace and Choki Dhani in Jaipur (A cultural village), Bagore Ki Haweli in Jaipur, Mehrangarh Fort in Jodhpur and vast desert safari camps in Jaisalmer. The elements of romanticism, misfortune, courage and sacrifice makes Chittorgarh a must visit destination in Rajasthan. Get overwhelmed by the stories of love echoing through the walls of history. This Land of the braves have fascinated history enthusiasts and art lovers from all over the globe. Udaipur is next to the famous Lake Pichola, and also to the lake Fateh Sagar, Udai Sagar and Swarup Sagar. There are many things to do in Udaipur, even though it is a much quieter and more comfortable city than the other cities of Rajasthan. And one of them is the Bagore Ki Haveli show. Bagore Ki Haveli has numerous rooms with interesting glass works, such as the detail of two peacocks made of small pieces of colored glass. Also noteworthy are the Mewar-style paintings that can be seen in the Queen's room. This Haveli has more than a hundred rooms, in addition to numerous corridors, balconies, patios and terraces. You can see the private rooms of the royal ladies, their bathrooms, their dressing rooms or their living rooms. There is an exhibition of personal objects such as jewelry boxes, games, a variety of turbans, fans, or weapons used by the royal family along with their descriptions, among other things. The schedule of the Bagore Ki Haveli in Udaipur is from 9.30 to 17.30, and the price of the entrance ticket to the Haveli is 100 rupees per person. The show that takes place every day at 7 pm. The first thing is to buy tickets, which is 150 rupees per person . Also, if you plan to use the camera or video, or you are going to take many photos with your mobile, you have to pay an additional 150 rupees. It was one of the places that we took the most photos in Rajasthan, along with the Patrika Gate of Jaipur. And if you go or come from Jodhpur, do not miss the Jain Temples of Ranakpur and the Kumbhalgarh Fort, which are halfway between the two cities. Ranakpur is the largest set of Jain temples in India and one of the five holy places of pilgrimage. Chaumukha Temple dedicated to Adinath is the most beautiful and largest Jain temple in India. Parshvanath and Neminath Temples are smaller and more important than the previous one. They are also built with white marble and have carved figures. Sun Temple is located outside the complex and is dedicated to Surya. It is of white marble and has an octagonal shape. The carved figures represent warriors and chariots of horses. Kumbhalgarh fort is located on top of a mountain and from its battlements the whole region is dominated. It has 7 access doors and 36 km of wall, and is the second longest in the world after the Great Wall of China. Last but in a way the most important point is what to wear when traveling in Rajasthan. If you are going on a trip to Rajasthan in December, pack some cotton wears and flats for the day and get woolens like hoodies, sweaters, jackets, etc. for the chilly nights. We hope you have a great time exploring the royal land of culture and tradition with a Rajasthan holiday package. Get your rajasthan tour packages and tickets booked and head to the city. This is a great post. The most important thing to me when I'm traveling to a new place is to get all the information I can. It's the best way to ensure I have a good trip. Thank you for this wonderful guide to Rajasthan I have never been so this is really helpful. I've never been to Rajasthan, the city looks out of this world. Would love to visit one day for sure. Thanks for sharing. This is a great post! I've never considered going to Rajasthan, but you definitely made it sound appealing and like an important cornerstone in India! I have heard so much about Rajasthan but not yet been there, I was in India several years back but only to the Golden Triangle, love the experience. Thanks for sharing the beautiful pictures and information. I think I would love a camel ride. I would love to spend 10 nights in Rajasthan! All of the beautiful cities and delicious food make we wish I could go today! Thanks for all of your helpful suggestions! This is a very detailed post for anyone traveling to Rajasthan! Loved how you even recommended what clothing to wear as I'd have no clue! Your posts are always very thorough for people looking to travel to lesser known regions. Awesome info! I haven't been there.. yet. I am very interested in the region and am hopeful to visit soon enough. Your tips are needed! My daughter is over in India at the moment on a university scholarship and I'm pretty sure she's going to visit Rajastan. Unfortunately, she won't be getting out too much as it is an education-based scholarship but boy am I jealous. I got a bit confused by the temperature - what's the average winter temperature? It’s always very cool to read about other places outside of my world (America) I hope one day to visit and explore the culture and take in the vibes. I've never heard of Rajasthan but it looks like such an exotic place to visit. what a great itenerary, im searching for a place to come and visit and thenkyou for this. Wow, it looks so beautiful there. I feel like India has been calling me lately. I never really considered it until very recently, but I think it would be a beautiful place that would take me out of my comfort zone. Saving this post for my future travels. I'll keep these plans in mind! this is an awesome guide! it sounds like a wonder place to spend time visiting!